Top 3: Art day trips inc. pavement drawing festival, Alfredo Jaar at YSP & AND Festival. We’ve picked out three must-sees for art fans in the North West between now and Christmas. 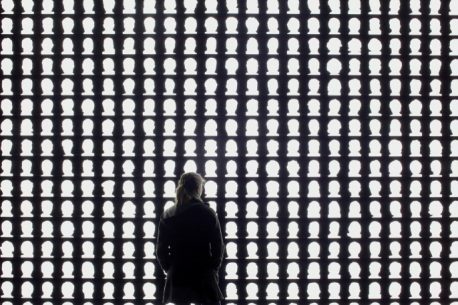 A solo show by politically engaged magician-turned-artist Alfredo Jaar at Yorkshire Sculpture Park follows the celebration of all things artistic, digital and cutting edge, AND Festival, taking place in Castleton at the end of September. Before all that, there’s a festival of pavement art, Chalk it Up, happening in Crewe this August Bank Holiday weekend. Take the train over the Crewe this bank holiday and enjoy a fiesta of pavement art. The practice of drawing with chalk on pavements was invented in the UK, and would have been commonplace in Crewe, particularly in public areas such as the railway station during Victorian times. Enjoy visually sumptuous and 3D works by over 30 leading names, with plenty of opportunities for hands on fun. Emotional, poetic, and rigorously engaged with contemporary politics, Chilean-born artist, Alfredo Jaar was a magician and an architect before becoming a central figure in the contemporary art world. Expect a powerful show of installations and other work that’s likely to draw you back several times over a six month run. Fun fact: Alfredo Jaar’s son is acclaimed DJ and producer, Nicolas Jaar. After successfully engaging with the various corners of Grizedale Forest in the Lake District in 2015, bi-annual AND Festival returns, this time to Castleton near Edale in the Hope Valley. Highlights include a preview of acclaimed US producer, James Ferraro’s new digital opera The Deluge as well as an immersive outdoor screening of contemporary horror classic, The Descent.